If you have a car you need to sell, come visit us. We offer good prices for all sorts of used cars and trucks. Give us a call or come down and see us at 8498 South State, Midvale, Utah. Our used car dealership first opened in 1965. We have been providing people throughout Utah with quality used cars for over 45 years and we are excited for the next 45! 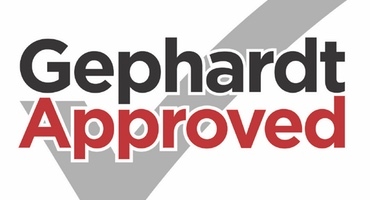 We are a Gephardt Approved dealership. Come see why. At Peterson Auto Sales we carry a large selection of quality used cars and trucks with a variety of financing options to get you the car loan you need. As a Utah Quality Dealer of the Year award winner, our family-owned and operated used car dealership has been dedicated to customer service since 1965. The majority of our business consists of repeat customers who have found our friendly staff a pleasure to work with. For no-hassle financing on our used cars or used trucks and a familiar atmosphere, this is the place. Peterson Auto Sales is a different kind of used car dealership. As a highly rated member of both the Better Business Bureau and the Independent Auto Dealers Association, our reputation is very important to us. It is something we have established over the years by providing our customers with the best used cars and excellent service. We know that buying a used car or truck can be intimidating. We don't think it should be. Our goal is to make the used car buying experience low-pressure, honest and friendly. The key to that experience is a great staff, and we believe our biggest attribute is that our knowledgeable employees never change. 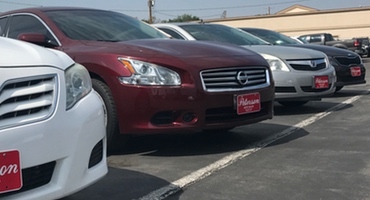 If you bought one of our used cars or used trucks 20 years ago, or are buying one today, the same friendly people are always here to serve your needs. We do all we can to make financing easy. Our relationships with over 40 different lenders will help you get a car loan, even if you have bad credit or no credit at all. And for first-time buyers we have great news! Our special First-time Buyer program is designed specifically to help new buyers own their very first car. CAN'T FIND THE USED CAR OR TRUCK FOR YOU? Another method to get you the car you want is our Used Car Finder program. While we have a great selection of used cars and trucks, if you don't see the used auto that is best for you, we can find it. We work with many different wholesale dealers and can find the used vehicle you are looking for. Our Used Car Finder program is free. No extra charges, no extra hassle. We want to do everything we can to make sure you get the used automobile that is right for you. Everyone at our used car dealership is committed to this. We always provide a free CarFax report on all used cars. Buying a car is an important purchase and we want you to have all the information in front of you before making a decision. Warranties are also available on all our used cars and trucks. And just in case you were wondering, trade-ins are always welcome. 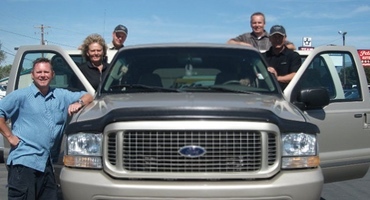 We are proud to say that the majority of used cars and trucks we sell are to repeat customers. We appreciate their loyalty and do everything we can to get the best vehicle, price and service for all our customers.